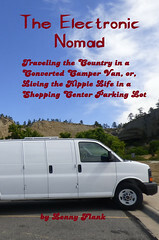 The Electronic Nomad – Traveling the Country in a Converted Camper Van. "Not all who wander, are lost." I’ll be here a couple weeks, to see some museums and a couple nature parks. After that I’ll start working my way north, to the Norfolk/Williamsburg area.